After the industrialization of China began, we have always wanted to leave behind fresh air and clean waters for our children, not the soot and grime that came with it. So it has always been an agenda of ours to lead the charge in the preservation of the environment to create a sustainable balance for the environment. There are still many unknowns in clean energy although rapidly growing, many of the subjects have not yet even been tested, but this will not stop us from keep on moving forwards because within clean energy lies the possibility of a brighter, cleaner and better future. We are able and willing to push this area, discovering and breaking through. 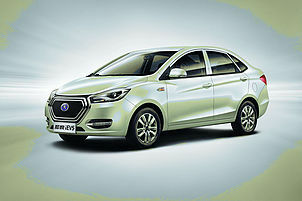 THCQ’s safety products rank number 1 in the Chinese market for new energy automobiles.